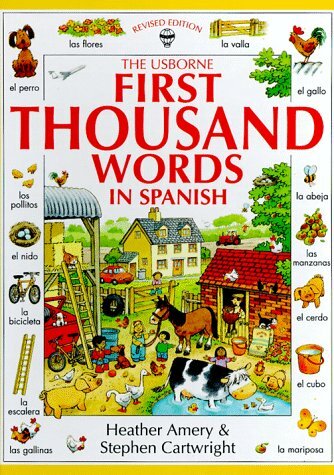 I have been teaching Spanish for over twenty years. In that time, I can't tell you how many times I have taught the verb "ir" or practiced noun/adjective agreement with my students. I try to constantly add new ideas to my teaching repertoire so I don't get bored with what I am doing. 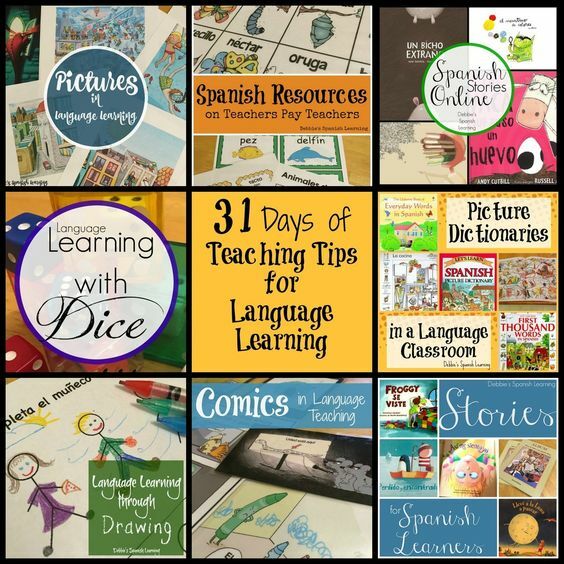 So during the entire month of January 2016 I am going to be giving you a teaching tip or activity idea for each day! Some you may be familiar with if you have been teaching for awhile, but there may be some new ideas that you can use. It is my hope you can come and find something fresh to add to your teaching. I am a former public school teacher, but I currently run an in-home business teaching homeschoolers. I have also homeschooled my boys. So why do I tell you all this? To let you know that the ideas I will be giving can work in several arenas. 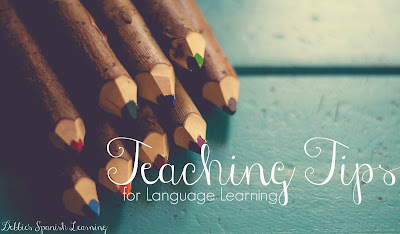 Public school teachers and homeschool moms teaching their kids another language should be able to find something to use in this series. While I am a Spanish teacher, there will be posts that can help anyone regardless of the language they teach. So here is a look at the month and what I will be discussing each day. Please note that the links won't work until the post goes live for that particular day. What a terrific post! Thank you so much! 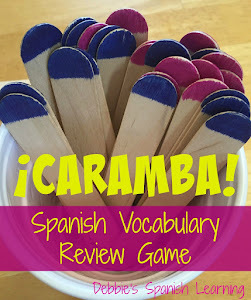 I am returning to teaching Spanish after 14 year hiatus. I've been a stay at home, homeschooling mom of three. I so appreciate you sharing your hard work. I recognize I am so blessed to learn from other experienced teachers! Have a blessed day!